The Conservative Political Action Convention will be held on the 27th of this month and will run through the March 2. As usual, the convention has gathered a strong lineup of guest speakers. Here's just a taste of the big names who'll be making an appearance. Mark Levin: A respected constitutional scholar, Levin is mostly known as the host of The Levin Show on Fox and LevinTV on CRTV. Before his career as a conservative commentator, Levin served as an advisor to several members of President Reagan's cabinet. He served as Chief of Staff to Attorney General Edwin Meese, Deputy Assistant Secretary at the U.S. Department of Education and Deputy Solicitor of the U.S. Department of the Interior. Nigel Farage: The British politician and analyst is the current vice chairman of Leave Means Leave, a pro-Brexit organization. Farage is founder of the UK Independence Party (UKIP), a right-wing political party founded in 1993. He began contributing to Fox News in 2017. Charlie Kirk: Kirk is the founder and ED of Turning point USA, a national student movement dedicated to educating, empowering and mobilizing young people behind the principles of fiscal responsibility, free markets and limited government. He is a featured columnist for The Washington Times and a contributor at Breitbart News. David Limbaugh: Brother of famous conservative commentator Rush Limbaugh, David similarly takes an interest in analysis of American culture and politics. He has authored seven books, including "The Great Destroyer," "Crimes Against Liberty" and "Absolute Power." Candace Owens: Director of Communications for Turning Point USA. Michelle Malkin: Malkin has been in conservative commentary for many years. Once an editor and columnist for the Lost Angeles Daily News, she began her own syndicated column with Creators Syndicate in 1999. Kay Coles James: James served as the director for the United States Office of Personnel Management under George W. Bush. Prior to this appointment, however, she served as Virginia Secretary of Health and Human Resources under George Allen and was the dean of Regent University's government school. She is currently a member of the NASA Advisory Council and the president/founder of the Gloucester Institute, a leadership training center for young African Americans. In December of 2017, she was named the president of the Heritage Foundation, a conservative think tank. She's the first African American to hold the position. Tom Fitton: Fitton is best known as the founder and president of Judicial Watch, a conservative watchdog organization. 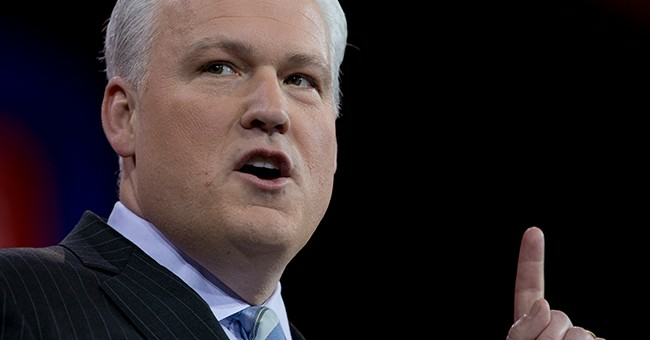 He has been recognized by the American Conservative Union and has testified before Congress. Deneen Borelli: Borelli is best known as a host on BlazeTV.com and a contributor with Fox News. She is the author of "Blacklash: How Obama and the Left are Driving Americans to the Government Plantation." She is also the Chief Political Correspondent at Conservative Review. Dennis Prager: While Prager has been broadcasting on radio in Los Angeles since 1982, he's best known as the founder of Prager U, which provides comprehensive videos explaining conservative values.